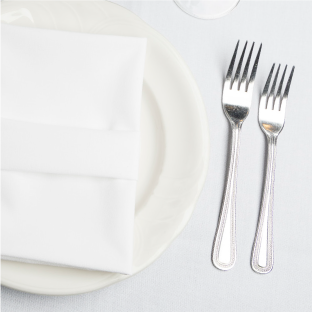 Perfectly blending style and practicality, our popular table linen will be sure to enhance any dining experience. 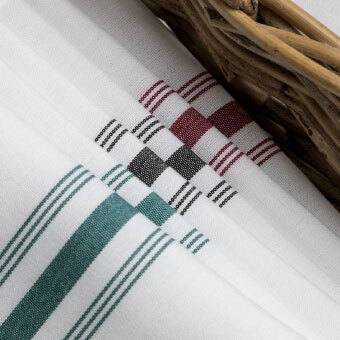 Choose our bestselling pure-white Prestige 100% cotton range for a touch of elegant simplicity, or add a splash of colour to the dining room with our vibrant cotton-feel polyester Kudos range. Available in smart, crisp white 100% cotton with an elegant sating band, the range features two fold, extra clean yarn and a mercerised satin finish to give it a sumptuous thickness and gorgeous lustre. 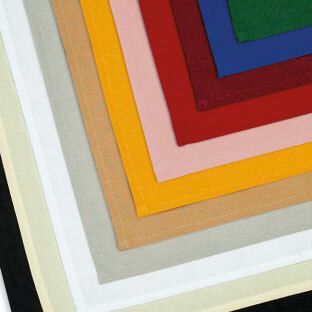 Available in 200gsm pure white cotton with a subtle satin band. 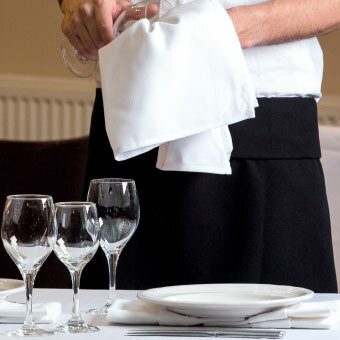 Prestige is ideal for all occasions, from casual dining through to banquets, parties, weddings and other social events. Available in Ivy Leaf texture all over design in 3 colours for a classic look and Bistro in 4 striking colours set on a white background to create a relaxed, inviting atmosphere.